Welcome to the Villa Ranch! Come visit the Villa Ranch. 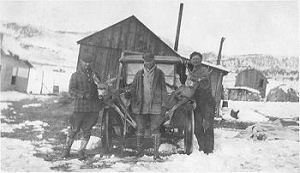 Hunt with us and live the old west in Northwest Colorado. Smell the sage and listen to the coyotes howl. Try your hand at throwing a lasso and sing cowboy songs around the campfire. Your host Mary Krueger and her experienced and dedicated staff will take care of you and your hunting vacation until you leave with your trophy animal or at least with the memories of an unforgettable hunt. You only need to bring your personal gear and we take care of the rest. 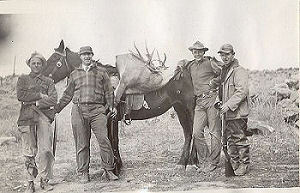 Our hunting and cattle ranch sits in the heart of elk country, home of the largest elk herd in North America. This 2,500 acre ranch will be yours during your stay. Join us as we travel our ranch roads horseback, by pickup truck, on ATV or on foot to check on wildlife, cattle and pasture. You can also go off-road into additional expanses of the ranch which remain untamed. 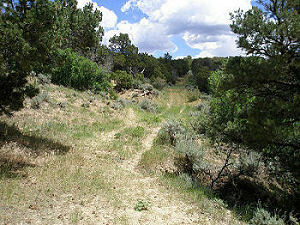 Villa Ranch is also the gateway to the vast Windy Gulch Wilderness Study area, free of motorized vehicles. Ample quality cattle pastures assure the growth and health of the local elk and deer populations. Pastures and watering facilities are meticulously maintained and continuously improved. Grazing of pastures and meadows is strictly monitored and controlled. Most importantly, the yearly number of hunting guests is limited to assure ample game selection and to help sustain the wildlife populations. 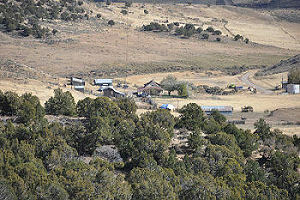 Enjoy the huge western Colorado outdoors while hunting at the Villa Ranch near Meeker, Colorado. 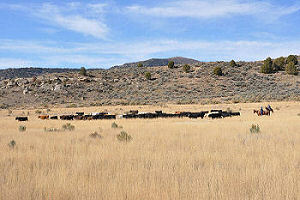 In addition to Villa Ranch private ground, part of this operation is conducted on Public Lands under special permit from the U.S. Bureau of Land Management on the Windy Gulch Wilderness Study Area directly west of the Villa Ranch. All hunting is in Game Management Unit 11. In the fall for more than 70 years, hunters have come to this ranch to live their dreams of bagging a trophy elk or deer. Dedicated and skilled local guides assured them a high success rate. They have been guests of the family and made to feel very much at home while staying in clean, comfortable rooms with modern facilities. They enjoyed delicious and healthy meals prepared with mainly local meats and vegetables.